A seasoned television news reporter, Christine Dumas shows audiences how to live more successful, happier and healthier lives. Dr. Christine Dumas is a lifestyle, consumer health and fitness reporter and author. Since 1996, her stories have appeared on NBC News Today and NBC News Weekend Edition Today. She also reported on health, lifestyle and fitness features for Weekend Today, at the NBC affiliate in Raleigh, North Carolina from 2003-2006. Christine is also featured regularly on Weekend Live on Fox News Channel, as well as on the Sirius Stars Network, where she regularly comments on topical issues across lifestyle and the currency of conversation. She has been featured on both Oprah and The View. Christine has been chosen to be the national spokesperson for Kellogg's 2008 Healthy Beginnings campaign - where she will reach over 33 million American households in national newspapers alone. Christine authored a health care guide - Special Treatment: How to Get the Same High-Quality Health Care Your Doctor Gets (Penguin Putnam, 2003). Her book has been described as being a must-have reference guide for households across America as it reaches diverse audiences seeking leading-edge advice in health care. Her book, Special Treatment, was featured in the January 2005 issue of O, The Oprah Magazine, as one of the must-have health books of the year. Her second book, The Weight is Over, due out in the fall of 2008, shows the many facets of her expertise. In this book, she addresses the science and the secrets of having the life, body and spirit that you've always wanted. Christine was the keynote speaker for the Speaking of Women's Health National Tour, where she covered the latest trends in lifestyle, fitness and health delivering that message to thousands of women across the United States. She has also served as a national spokesperson and strategic planning consultant for the American Medical Association's Women's Health Campaign and the National Tobacco-Free Steering Committee for the National Institutes of Health and the National Cancer Institute. She serves on the senior faculty of the American Medical Association's Health Broadcasting Conference. 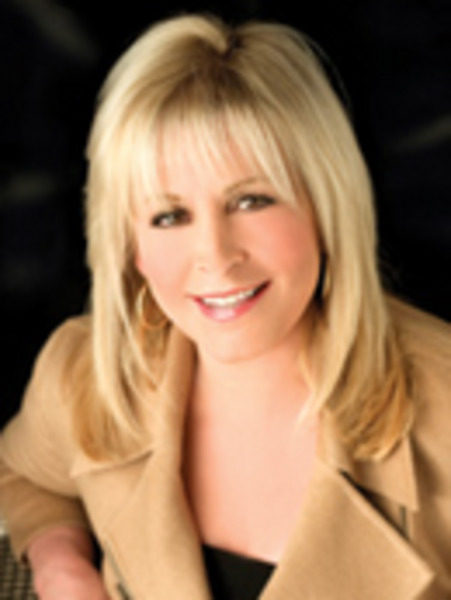 In addition to her clinical training, Christine holds a Bachelor of Arts degree in Economics from UCLA. She has served as an advisor to Congressional committees addressing the lifestyle issues that matter most to American families. She also serves as a senior advisor to the Center for Health Transformation in Washington D.C.
Christine has spent a decade reporting on trends in lifestyle, fitness, sports and health giving her a leading-edge perspective that is sought-after by Fortune 500 corporations, leading associations and group forums, like The California Governor and First Lady's Conference on Women and Families. Her background and broad-based career experience give her a unique perspective that resonates with audiences. She covers a broad range of issues in her reporting - from profiling athletes competing in the Olympics to legal issues surrounding drugs that are unsafe for children -- all with unparalleled intensity, commitment and compassion. Experienced Consumer Journalist: Since 1996, Christine's stories have appeared regularly on NBC's Today and Today: Weekend Edition, as well as being featured on both Oprah and The View. With a regular presence on network television for well over a decade, she is one of the most trusted television personalities in the country. In addition, she is a nationally known speaker and author. She is the author of Special Treatment: How to Get the Same High-Quality Health Care Your Doctor Gets, a reference guide for households across America. Her upcoming book, The Weight is Over, offers strategies for managing stress, sleep and diet to improve your work, family and life. She also currently serves as a senior adviser to the Center for Health Transformation in Washington, DC. Expert Moderator: Christine is never far from the leading edge of what is affecting our world today. With insight, intelligence and quick wit, she always brings a "big picture" perspective to any discussion. She gets to the heart of the matter in a compelling and charismatic way that allows for a deeper and more profound understanding of how today's issues will affect you, your family and your world. Inspiring Audiences to Change: Christine inspires and moves audiences to make the changes necessary for a longer, happier and more successful life. One of the media's most respected experts, she offers audiences the information that they need to gain control over their happiness, career, health and future. This year, she was chosen as the national spokesperson for Kellogg's 2008 Healthy Beginnings Campaign. She offers audiences humorous, engaging anecdotes and an entertaining behind-the-scenes look at her work in television over the past decade. News You Can Use: In presentations that come directly from breaking news headlines that she has covered for over a decade, nationally recognized reporter Christine Dumas brings audiences into the news room and into the top research centers in the country, providing insight into today's headlines. She shares how what's in the news will affect you and your family and, what the new advances in consumer trends, lifestyle issues, health, fitness, wellness and sports medicine mean for you. She covers a broad range of issues in her reporting - from profiling athletes competing in the Olympics to legal issues surrounding drugs that are unsafe for children -- all with unparalleled intensity, commitment and compassion. Christine Dumas' unique perspective as a television reporter and media personality provides audiences with valuable insights on the news stories that matter most. She is consistently on the forefront of stories that matter most to Americans. In this one-hour presentation, she brings audiences the breaking news across the spectrum that matters most to them, in an entertaining and compelling manner. Our country is at a critical juncture regarding the health of our citizens and the transformation of our health care system. As research and science lead to groundbreaking cures and new live-saving treatments, doctors, patients and health care administrators are all increasingly frustrated by the factors that drive up costs and limit the availability of the highest quality, state of the art health care. Drawing on her experience as a nationally recognized medical correspondent with a degree in Economics, Dr. Christine Dumas covers the leading edge trends in the U.S. health care system, sharing how these trends will transform our health care system in ways that many Americans can only begin to imagine. What she knows from her years covering healthcare is that promoting better health means transforming the way Americans think about their health. She discusses a model for a healthcare system of the future that we can embark on today - one that is patient-centered and rich in innovation. She provides her audiences with insight on the critical issues that both doctors and patients face when dealing with delivering and receiving the highest quality care, and she outlines specific trends that will lead to better care and a healthier America. In this enlightening and interactive presentation, Christine Dumas, author and nationally recognized television reporter, offers a plan based on the latest scientific research that can help you turn your life, spirit and energy around. Is the stress in your life taking away your quality of life? Have you gained and lost the same 10 pounds more times than you can count? Are you either thinking about or in motion with work 24/7 and proud of it? Do you feel like each day is race until you climb into bed at the end of the day? Well, it may be time for a major transformation. Dumas will show you how to create the happiest and healthiest life possible by sharing the latest research available about the lifestyle issues that can make the biggest difference in how you live your life. Learn the five secrets that you can instantly incorporate into your life so that you can have the body, life and spirit you've always wanted, without ever having to go on a diet or suffer on a treadmill again. In this presentation partially based on her first book, Christine Dumas explains what every company needs to know about innovative corporate wellness strategies that can result in a happier, healthier workforce while saving millions of dollars in cumulative healthcare costs. On average, we spend two hours with our doctors a year - but we spend 2000 hours at work. She'll describe a model for an innovative corporate wellness model of the future - one that is patient-centered, rich in innovation and uses our rapidly growing scientific information base in increasingly creative ways. Drive, determination and knowing where you want life to take you are part of the equation for success. At each step of the way, Dumas emphasizes the importance of never letting traditional expectations keep you from having your preferred life -- one that is custom-made for you. To say that she thinks "outside the box" doesn't begin to describe her intuitive, innovative and entertaining ideas for everything from financing a college education to a business, to doing whatever you feel passionate about, to seamlessly changing course in life as opportunities present themselves -- allowing you to create the very best life possible.